Mumbai, 15th January, 2018: Bajaj Auto, known for its sports bike legacy hosted the third season of the highly acclaimed Pulsar Festival of Speed. With another edition, the Pulsar fans witnessed double the fun and enthusiasm as per the last two editions. 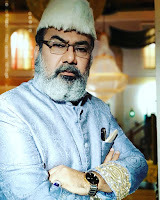 The festival was hosted at Vashi, Navi Mumbai. The event started at 1 pm gave Pulsar customers a chance to indulge in professional lap racing on a track setup for ultimate biking experience. 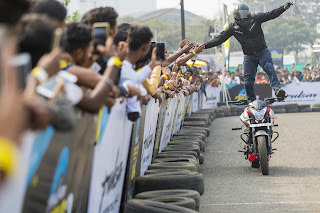 Not just this, this time the festival offered India’s first Stunt Championship along with chance to get trained with professional racers like Emmanuel Jebaraj & Kartik Purushothaman- National Champions and the art of stunting from India’s no. 1 stunt team Ghost Ryderz. Touted as India’s biggest biking festival, the festival will be further hosted in Pune, Bangalore, Chennai and Coimbatore to provide a fun filled extravaganza with track racing competition and breath taking stunt shows. The festival has already concluded its successful chapters in Delhi and Hyderabad. 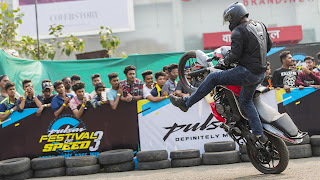 Apart from races, the festival offered a fun filled day with Pulsar experience zone, burn out zones and exclusive display of the Black Pack Pulsars lineup, Stunt shows much more. While the races were open for RS200, NS200/AS200 and Pulsar 220, 6 Pulsar customers were chosen for the final face off to be held at Kari Motor Speedway, Coimbatore. Apart from Races, 10 Amateur stunters also participated in final stunt face offs at Leisure valley out of which 1 was selected for the finale. The festival will also travel to Hyderabad, Bangalore, Pune, Mumbai and Chennai with 36 race finalists (6 from each city) and 6 stunt winners to compete for the grand finale after undergoing full professional training from the experts on the Kari Motor Speedway, Coimbatore and Chennai Resp on 17-18th Feb 2018. The training and finale will be sponsored by Bajaj Pulsar. The winner of the grand finale will be awarded with the first Pulsar Cup of the country along with prize money of Rs 50,000 for both stunt & race category.